A successful start to the year on the ITTF World Junior Circuit, it could hardly have been better for Japan’s Maki Shiomi. The first tournament on the calendar, on Thursday 9th February, the 15 year old emerged victorious at the 2017 Czech Junior and Cadet Open in Hodonin in both the Junior Girls’ Singles and Junior Girls’ Doubles events. Occupying the top seeded position in the competition, Maki Shiomi accounted for colleague Miyu Nagasaki, the no.2 seed, in an all-Japanese Junior Girls’ Singles final, after in the latter stages, having ended Serbian hopes. At the quarter-final stage, she ousted Serbia’s Sabina Surjan, the no.6 seed (12-10, 11-4, 11-8, 11-9) before defeating surprise semi-finalist, Dragana Vignjevic, the no.16 seed (11-7, 11-4, 11-8, 12-10) to reserve her place in the title deciding contest. Undoubtedly, it was an impressive performance in opposition to Dragana Vignjevic; she was a player in form; in the round of the last eight she had beaten Japan’s Kana Takeuchi, the no.3 seed and defending champion. 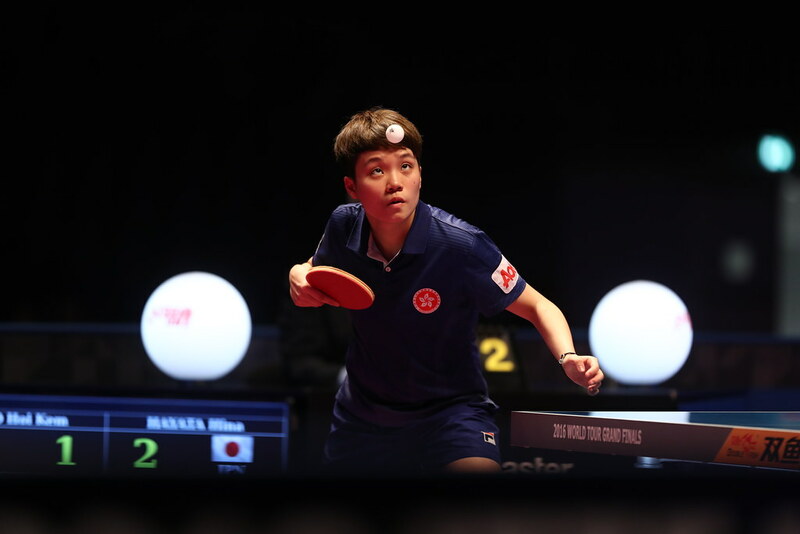 Success for Maki Shiomi meant she collected her third career ITTF World Junior Circuit Girls’ Singles title; in 2016 she had been the runner up in the concluding tournament of the year in Hungary but earlier had won in Italy and Serbia. In the opposite half of the draw, Miyu Nagasaki, who had been a quarter-finalist one year ago in Hodonin before winning in Spain, booked her place in the final courtesy of success against Romania’s Tania Plaian, the no.8 seed (11-4, 8-11, 11-5, 12-10, 11-3) and Russia’s Ekaterina Zironova, the no.14 seed (12-10, 11-6, 11-7, 13-11). Similar to Dragana Vignjevic, Ekaterina Zironova had caused a quarter-final upset; she beat Japan’s Yuko Kato, the player who finished in top spot on the 2016 Standings. In the battle of the left handers, Ekaterina Zironova prevailed in seven games (6-11, 11-9, 11-7, 4-11, 9-11, 11-7, 11-8). Meanwhile, earlier in the Junior Girls’ Doubles event, Maki Shiomi had Miyu Nagasaki had secured the top prize in a most imposing manner. They accounted for the Serbian duo of Izabela Lupulesku and Sabina Surjan, the no.2 seeds, in the final (11-8, 11-3, 7-11, 11-8); having one round earlier ended the hopes of the Czech Republic’s Zdena Blaskova who joined forces with Tania Plaian. The no.4 seeds, they were beaten in three straight games (11-5, 11-5, 11-9). In the opposite half of the draw, in the penultimate round, Izabela Lupulesku and Sabina Surjan overcame Poland’s Anna Wegrzyn and Katarzyna Wegrzyn, the no.6 seeds (11-8, 11-9, 11-9). Attention now turns to the team events and perhaps more titles for Maki Shiomi? In the Junior Girls’ Team event, she lines up alongside Miyu Nagasaki, Kana Takeuchi and Yuko Kato.